In the year 1913 a group of Hungarian Catholics, with the aid of Fr. Berkorst, pastor of St. Joseph’s parish in Muskegon, banded together to start a parish in Muskegon Heights. Meetings were held, funds were raised, and eventually, in January 1916, property was purchased at East Summit and Leahy. The total cost was $2,540. In April, 1916, Bishop Edward D. Kelly gave permission to collect money for the organization of a new parish. On September 1, 1919, Fr. John J. Sonefeld was appointed administrator of the new Sacred Heart Parish. Arrangements were made to rent Schoenberg Hall on Broadway Avenue, and the first parish Mass was celebrated there on September 9, 1919. A building program was soon launched, with door-to-door collection. As soon as the basement of the new church was completed Sunday Masses were celebrated there. In 1924 the upper structure was completed and blessed. In 1925 Fr. Sonefeld was appointed pastor of Sacred Heart Parish. In June of 1928 Fr. Jerome Szydlowski became the first in a long line of assistant pastors to serve the parish. In September of 1936 Fr. Sonefeld was transferred to a parish in Saginaw, and was succeeded by Fr. Joseph Bocek. Up to this point catechism had been taught to the children by Dominican sisters serving in other Muskegon parishes. Under Fr. Bocek the first school building was begun in 1939 and completed the next year. In May, 1940, Bishop Joseph Pinten transferred Fr. Bocek to St. Philip’s in Empire and appointed Fr. Albert A. Kehren as pastor of Sacred Heart. Fr. Kehren had previously served as pastor of St. Mary’s, Lake Leelanau. In August, 1940, six Dominican sisters from Grand Rapids arrived to become the first teaching staff of Sacred Heart School. The first principal was Sister Vita Marie. In September the school was blessed by Bishop Pinten, and opened the very next day with six grades and 260 pupils. The total cost was $61,140. The next summer the sisters moved from the second floor of the school to a house that had been purchased and remodeled at 2900 Leahy. In July, 1946, Fr. Kehren celebrated the silver anniversary of his ordination to the priesthood. In 1948 a house across the street from the school was purchased to be used for classrooms and also as living quarters for the assistant priest. The parish hired four lay teachers, a music teacher, and a full-time school secretary. The school continued to grow, and in 1951 the enrollment reached 510 children in nine grades. In May of 1951 ground was broken for Catholic Central by Bishop Francis J. Haas. The high school opened in September, 1953 with 775 students. An important new phase in the life of the parish began with ground-breaking for a new church on September 2, 1956. The church was formally dedicated by Bishop Allan J. Babcock in November, 1957, and he administered Confirmation for the first time in the new building on the same day. Almost immediately work was begun on the remodeling of the old church to make it a residence for the priests. The work was completed and the priests moved in August, 1958. In December of the same year Bishop Babcock visited the parish to consecrate the altars in the new church. The year 1964 saw the beginning of a lay school board for Sacred Heart School. In April, 1966 work was started on a new school building. By the end of October, five classrooms in the new building were opened and in use. The new school was blessed by Bishop Babcock in March, 1967. Fr. Kehren had been elevated to the rank of domestic prelate with the title of Right Reverend Monsignor in 1956. After twenty-eight years of service as pastor of Sacred Heart Parish, he passed away on Ascension Day, May 23, 1968. Monsignor James L. Jendrasiak , came to Sacred Heart to become pastor in June, 1968. He had previously served as pastor of the Catholic Shrine, Indian River. Under Monsignor Jendrasiak’s leadership a parish council was formed and became active in many areas of parish life. The sanctuary of the church was remodeled to make it more suitable for the renewed liturgy. A full-time religious education director was hired to provide programs for the increasing numbers of children being enrolled for instruction. In November, 1969, the parish celebrated its fiftieth anniversary with a special Mass of thanksgiving and a dinner-dance at the Polish Falcon Hall. In the fall of 1973, Monsignor Jendrasiak was transferred to Sacred Heart Parish in Grand Rapids. He was succeeded by Fr. Henry J. Dondzila, who came to Sacred Heart from St. Philip’s, Reed City. Sister Eileen Popp, OP, first pastoral sister at Sacred Heart, began her work just at the time of the change of pastors. Under Fr. Dondzila, services to the elderly and homebound were greatly expanded. Many lay members of the parish were installed as extraordinary ministers of the Holy Eucharist, both to serve the homebound and to help at Sunday liturgies. The corps of parish lectors was also enlarged. New and innovative programs of preparation for the sacraments were initiated. In the summer of 1977 Fr. Dondzila was transferred to Saints Peter and Paul, Ionia. Father Robert J. Rose (now Bishop Rose emeritus) was appointed the sixth pastor of Sacred Heart. He had been rector of St. John’s Provincial Seminary at Plymouth. While Fr. Rose was pastor, he and Sr. Eileen started the Sacristan Program at Sacred Heart. In September, 1977, Bishop Joseph C. McKinney, Auxiliary Bishop of Grand Rapids, arrived to take up residence at Sacred Heart.  In September of 1979, a special observance was held in honor of the sixtieth anniversary of the first Mass offered by Father Sonefeld for the first members of Sacred Heart Parish. In 1982 Fr. Lou Anderson followed Fr. Rose. Fr. Lou stayed for six years when he joined the Maryknoll’s and spent five years in Asia as a missionary. In 1988 Fr. Charles Dautremont followed Fr. Lou as Pastor. Fr. Dautremont succeeded in getting Sacred Heart out of debt in 1991. A committee of 13 people was formed to study the feasibility of church renovation. This committee met regularly over a period of two years. They started out with seeking the needs and desires of the parishioners of Sacred Heart. This resulted in the present renovation which was started on January 3, 1994. Fr. Norm Droski followed Fr. Charles Dautremont. When student count dropped below 50 the school closed. The Rectory and offices were renovated. In 2003 the four inner city parishes were clustered under two priests, Fr. Mark Bauer and Fr. James Wyse. This arrangement was not embraced by all of the churches in the cluster and was disbanded in 2007 by Bishop Hurley. During this time of the cluster a kitchen was added to the 1966 school. In 2007 Fr.  Thomas Brown was assigned as Pastor of both Sacred Heart Parish and St. Michael Parish in Muskegon. In 2009 the 1940 school was demolished. Both the church and the school have multiple handicap accessible entrances with handicap accessible bathrooms. The “new” school is used as our Parish Hall and Religious Education classes. The church also has the Loop system for those with hearing aids. In 2012 Fr. Antony Britto was assigned as Pastor of both Sacred Heart Parish and St. Thomas Parish in Muskegon. The parish remains strong and vigorous and debt free, proud of its past and looking ahead to the challenges of the future.